Boots 'n' All is a compelling read that continues in the footsteps of the popular first book by author Tony Walsh, The Black Singlet Brigade. From the valleys of Te Urewera to the hinterlands of the South Island, and across to the red, dusty lands of Australia, these stories weave through a landscape of adventure and amusement, populated by larger-than-life characters. These were men and women who lived whole-heartedly their back-country existence and were ready to jump into ;life at any moment, boots and all. 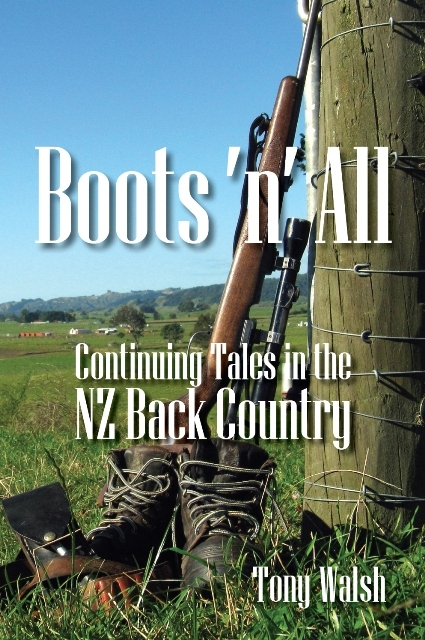 Within the chapters of this book - from the hilarious "I'm Shot" to the poignant "Epitaph to a Friend" - a tale unfolds; a record of one man's hunting adventures and encounters with some real but unusual people in the remoter parts of New Zealand. Tony Walsh was first introduced to NZ's bush clad ranges, to pig hunting and some life-defining experiences by Ned Tuite, whose usual attire was a black woollen bush singlet and a pair of khaki shorts suspended from a thin leather belt. Through Ned, Tony met a band of those iconic good keen men of an era now past, and began a journey of experiences he will never forget. There were the likes of ugly Eddie, who ate all the pigs' ears; Jack, who thought the ghosts were after him after a midnight tumble down the hill; or Charlie, who didn't know whether to mash his spuds before or after they were cook. Men whose characters were as colourful and multifaceted as the forests and mountains they came from. 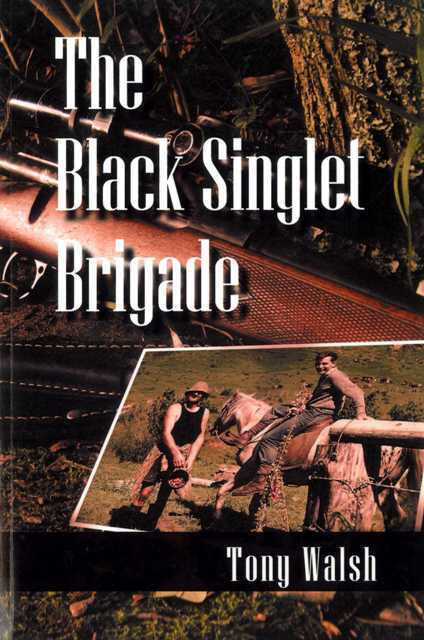 The Black Singlet Brigade is a memoir written with eloquence and a dash of humour at every turn. 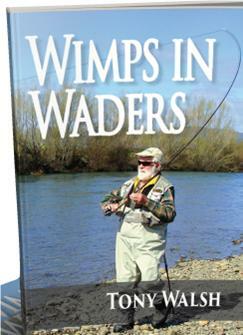 It combines the untamed beauty of the wild with hilarious adventures and unique characters to build a picture of a life long gone, in the bush and back-country of New Zealand.